Swing trading – is it for you? What is better – day trading or swing trading? Swing trading is a popular trading method. This topic is wide, but I will try to present you my approach. If you have any questions about that topic, please feel free to ask in a comment section. Swing trading is a method of trading where we want to use strong directional moves (swings) to place a trade. Usually, this will be moves which last somewhere between 1-7 days. In most cases these moves will be strong, so we have a better chance for a successful trade. Why? Because it is harder for institutional traders to move in and out. You can see all these strong moves which do not last very long. It is much easier for institutions to create such a short-term moves. A reason behind it may very – it may be for stop loss hunting, for high-frequency trading etc. Many people think this is the fastest way to make money. That is why it is a very popular choice. In reality, it is the fastest way to lose money. Remember example from before? In day trading you basically do not keep an open position for the night. You try to open and close position in the same day. For some people, this is very appealing, but that is a topic for another post. You open a trade on higher time frames. You keep it open for few days, sometimes a little bit longer. When you look for best trading opportunities on longer time frames like daily, weekly, monthly. The trade here can last few weeks or even months. In my opinion, for most people, it will be swing trading. The higher time frame you trade, the better chances you have of being successful in trading. Yet, there is all that hype about day trading. People believe that this is their best chance to make money fast. It isn’t, trust me with that. I do daytrade, but this is very difficult to learn. It is not only about trading strategy. It is more about your psyche, finding time to trade (and stay alerted), following rules… Basically, day trading is a hard work. You can make money as a day trader, but day trading is one of few options. You can also make money as a swing trader so the choice is yours. 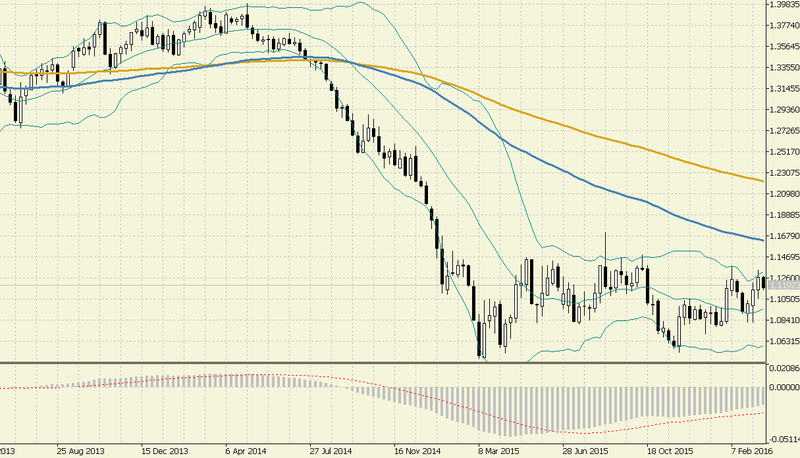 You can see above a 1m EURUSD chart. 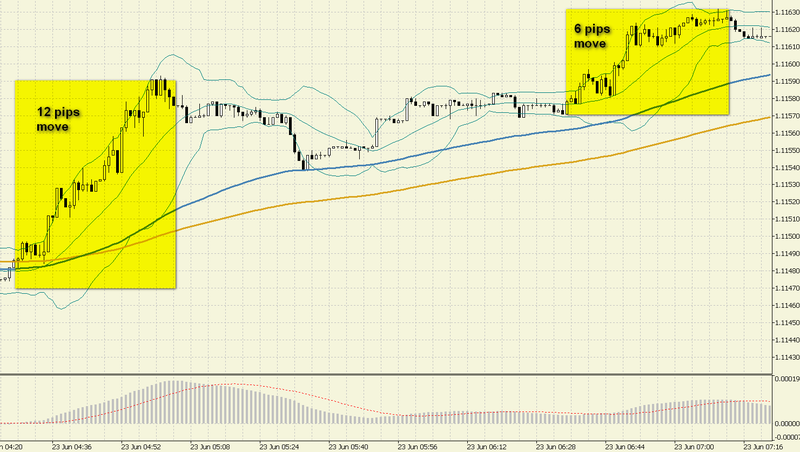 Moves are around 10-20 pips, sometimes larger. 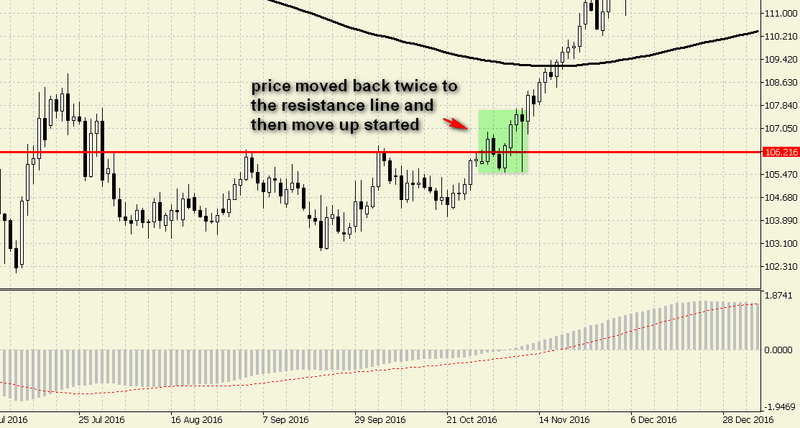 If you want to earn some money on a move which is 10 pips long then you have to open a really big position (1 lot or bigger). 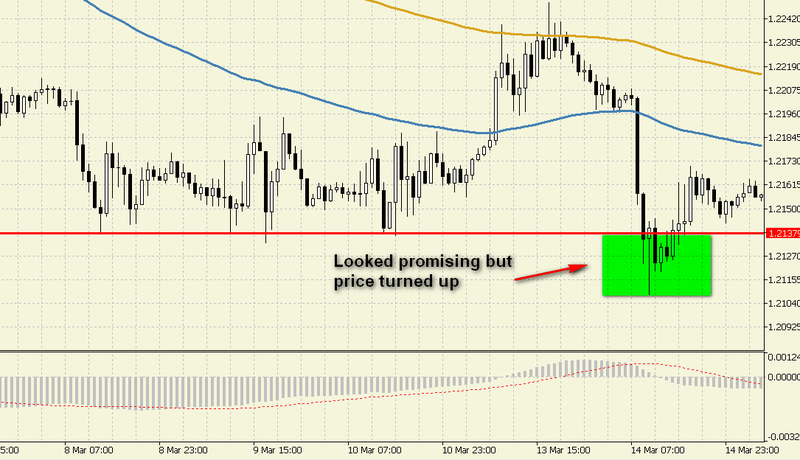 With moves around 100+ pips, you can make good profit and position doesn’t have to be very big. This is a very important thing to remember. With swing trading, you do not have to be in front of a computer all the time. You can do your other things like work or simply go out. You have a pretty normal life. And still – you can make some good chunk of money. This may seem funny to you but anyone who was day trading knows what I mean by that. If you have only a few hours a week for trading – you can still do it. If you can’t be in front of a screen for 8+ hours, that’s fine. You can still trade and make money. OK, I tried to explain why swing trading is a right choice for most of the traders. Now let’s dive a little bit deeper into the topic. I’m not trying to do very specific guide here but to show you the right direction. The rest is up to you. It depends on your personal trading style. Do you want to use leverage or not? If leverage is ok then you have a wide choice from CFDs, e-mini, indices, currencies… If you want to avoid leverage then you should stick to the stocks. In general, we look for instruments with good trends. How to spot them? 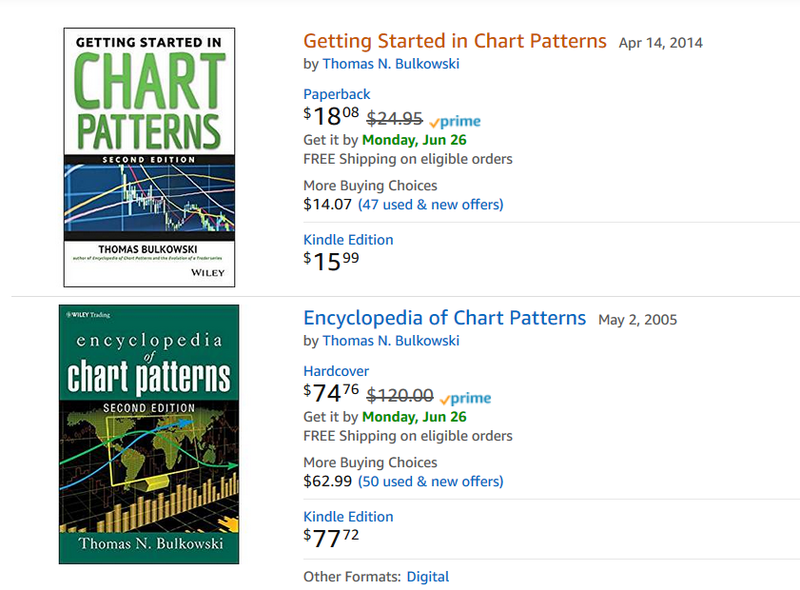 Simply check chart history. On the other hand, if you see that ranges are short and you can spot often a trend then it should be a good pair to trade. You should try different instruments so you can select the best ones for you. This is an important factor. When you trade, you have spread or percentage fee for a broker. You pay it when you open and close a trade. In day trading, when you make sometimes 100+ trades in a month, these costs are a huge part of your trading results. Because of that, you have to stick to instruments with best (lowest) trading costs. 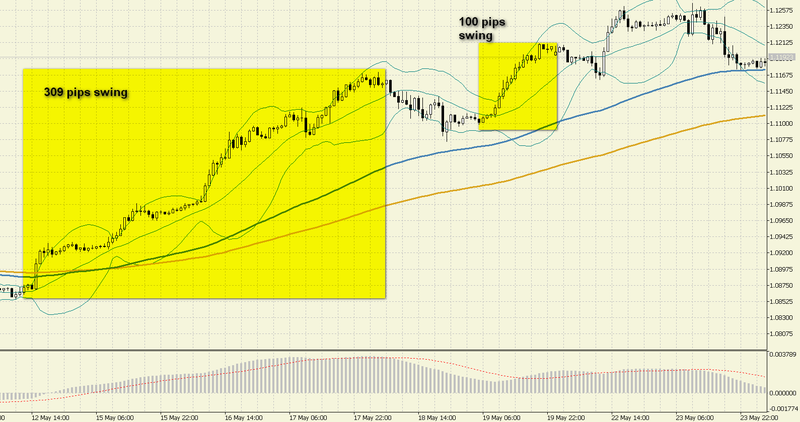 In Forex this will be majors (4 major pairs like eur/usd, usd/chf, and others) and others with spread around 1 pip. It is a different story with swing trading. You have a much wider selection. Spread is 4 or 5 pips? You can still open a trade if you look for 100+ pips move. Thanks to that you can look for trading opportunities on many different pairs. In most cases, this will be 1-hour and everything above it. You can go lower if you want but if our goal is to catch bigger moves then we should aim for bigger time frames. Breakouts are still very popular and there is a reason for that. This is a strategy with a good probability. It looked very promising, but there was no continuation of the move down. Price turned up and started a move to new highs. This move down was so fast that it was hard to enter it in right time. Maybe pending order would help here, but on many times it is risky and hard to get a good price with such rapid moves. You can see that price broke above the resistance line. Price moved back twice to the resistance line – it was a good moment to enter a long position if you missed it in the first place. Later, we saw a strong swing up. In most cases, you set your take profit target at nearest resistance level or you can exit based on another signal (trailing line, CCI cross or other). There are soo many indicators. Yet, you can see pro traders rather base their trading decisions on clean charts. There is a reason for that. They remove all the noise from oscillators and base their decision on price. This gives them best results. Patterns are a great way to enter a swing trade. It takes time for them to form. When there is a break from the pattern it is usually strong. He has also a good blog http://thepatternsite.com/Blog.html. I like his approach because he knows that pattern X has Y% probability. I wrote about Ichimoku trading here. I remember that it was so hard for me to understand the concept behind it. But back then there was a lack of sources so it was a bit of trial and error for me to master Ichimoku. Now you have so many materials and it is worth to put time into learning this technique. You have more details in my Ichimoku tutorial, but there are some important things you should notice. 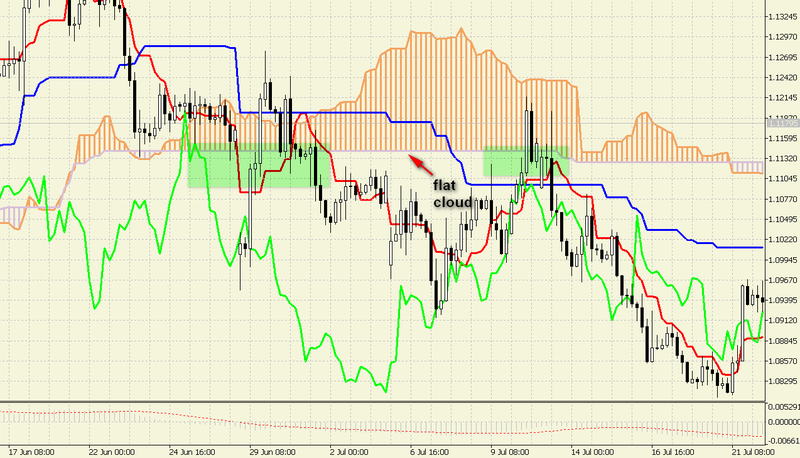 This is my opinion – the higher time frame, the better results with Ichimoku. Especially weekly and monthly works great, but this is a long-term approach. As a swing trader, you will probably use Ichimoku on 1h, 4h or daily where it works great too. Just be careful when you trade with Ichimoku on lower TF than 1h. When there is a trend, then it is all fine but there are many surprises on lower TFs. I recommend trying other than standard 9, 26, 55 settings. There is a popular set of 9, 68, 177 which works very well in swing trading. S lines act as a support, R as resistance. When we have an open trade, we can use them to set take profit target. When we hunt for a trade then we can use them to open a trade when there is a change in a move. There are Pivot Points for each time frame. If we are day trading then we will be using daily Pivots. When we are swing trading then we look for trades which last few days. In that case, it is best to use weekly pivot points or sometimes even monthly (if we plan to keep trade open for weeks). It is best to combine Pivot lines and resistance/support lines. When we see that they are near each other then this point should be important for the price. You can use only Pivot Points and trendlines/price action or you can include it in your trading strategy. I can’t recommend enough to learn and use Pivot Points. 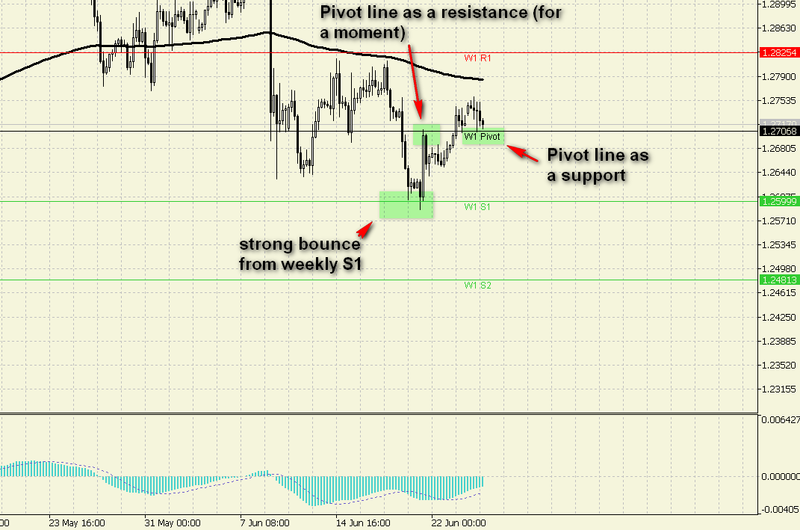 You can download Pivot Points for Metatrader 4 here. If you are using some other platform, it should be built in or available as a module. If you are really new to trading then I recommend a book by John Person – Candlestick and Pivot Point Trading Triggers. The best book on the market about pivots is book from Pivot Boss (Frank Ochoa) – Secrets of a Pivot Boss. This is also one of the best trading book I’ve ever read, this is so good. This is my favorite technique. 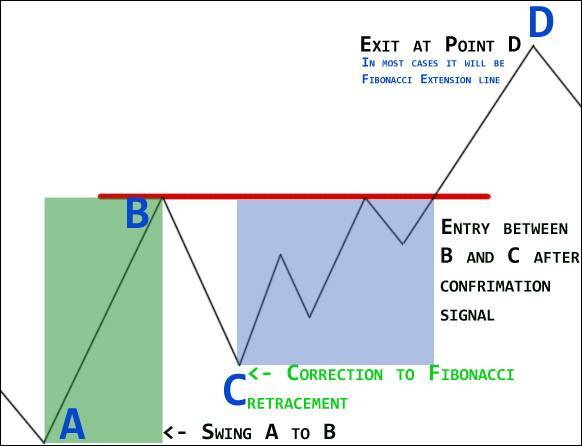 Read my fibonacci trading guide to learn more about it. You can enter a trade near resistance line or wait for confirmation after break above/below recent C point. The main idea here is to catch move from C to D. We want to exit it at one of extension lines. You can have great results when you join Pivots and Fibonacci. It helps you with entry and exit. There are not many oscillators in this guide because I do not use too many of them these days. If I do then I stick to basics like MACD, CCI or %R. I had good results with MACD set to longer periods. With that in place, I was looking for an entry on the break above or below 0 line. This is very good signal and you can also include it in your broader trading strategy. 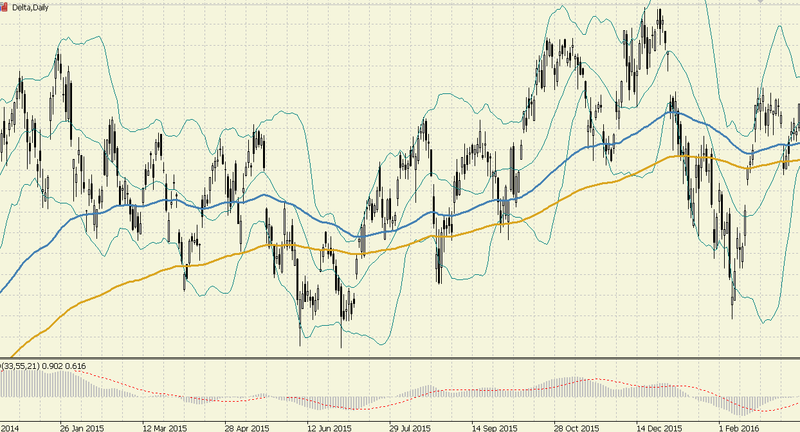 There is a problem to find good Renko charts. My recommendation is to test tradingview.com. 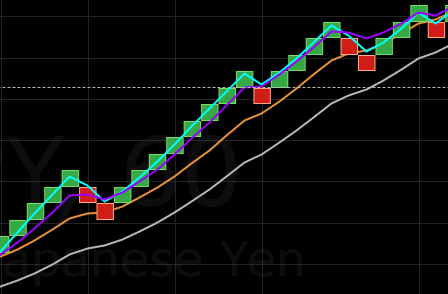 They have the best Renko charts in the market. I presented many different strategies. I personally use a Fibonacci technique with pivot lines. In most cases, I enter when there is a bounce from retracement line. I usually look for channels. When there is a breakout, I open a trade. I place a stop loss below channel and retracement line. 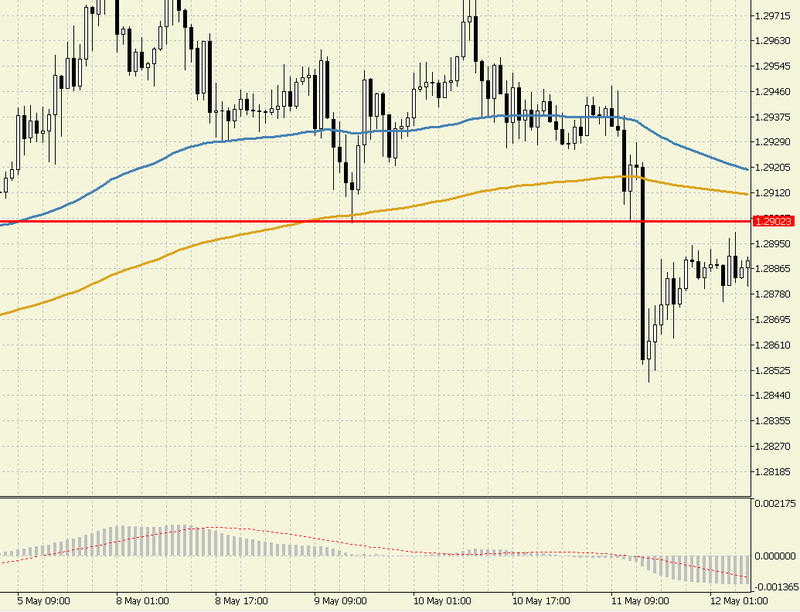 I close part of my trade at 138.2% extension line. I close rest of it at 161.8%, sometimes I try to wait for 200% extension line. I really think that trailing stop loss is a great tool when you are a swing trader. You can build a whole trading plan around it or you can use it to stay in a trade as long as possible. There are few common mistakes I can point out. Stop loss alone is a huge topic. There are many ways you can set it. Learn from others, learn from your trading mistakes. 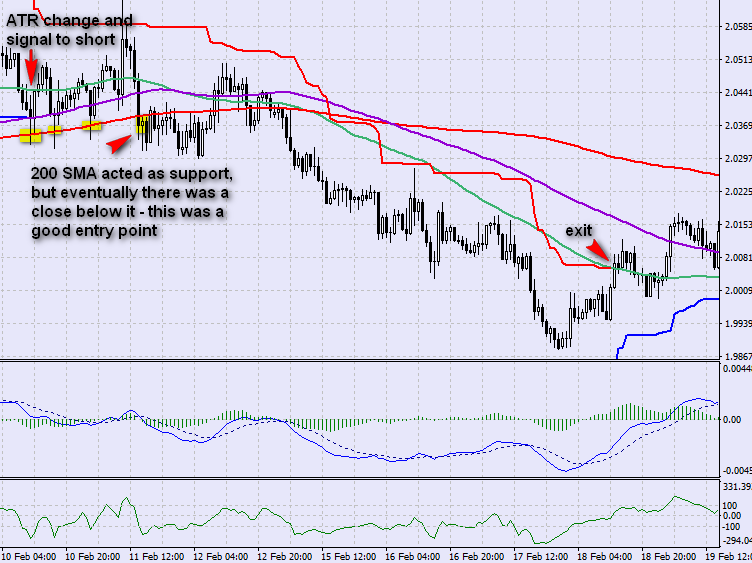 It is a good practice to mark important trendlines, pivots on a chart. This will help you to set stop at better place. Do not overtrade. Especially when you use leverage. It is easy to place many trades, but you have to be sure what you are doing. You have to base your trading decisions on some plan. Without that there are more chances that you will act based on your emotions. Keep a journal with your trades. Note your mistakes and things that worked. I am simply referring to pivot points :) You have to do your own research based on price history. That is why I like pivot points indicators which shows levels from the past. Thanks to that I am able to check how they performed over time. I would recommend going with classic/traditional pivot points which are the most popular ones. Check what others are using. You can find big financial sites which publish current levels for pivots. If you use the same one then you should be good.